Our All-Outdoors Atlas & Field Guide is created at twice the scale of other road atlases, which means double the detail. And while the maps are sure to be the finest quality you have ever used, the thing that makes this book unique is all the additional information. Your favorite outdoor activities including fishing, hunting, camping, hiking, biking, off-roading, paddling, skiing, golfing, wildlife viewing, and more are covered in great depth with helpful editorial and extensive tables, which are all cross-referenced and indexed to the map pages in a way that's fun and easy to use! These eBook editions of our Fishing Map Guides and All-Outdoors Atlases bring the maps and information you love to your phone, tablet, or computer. Downloadable and compatible with virtually every device, these eBooks give you access to your maps and information anytime, anywhere. Several regions are available now, with more coming every day. Only looking for one or two specific lakes? 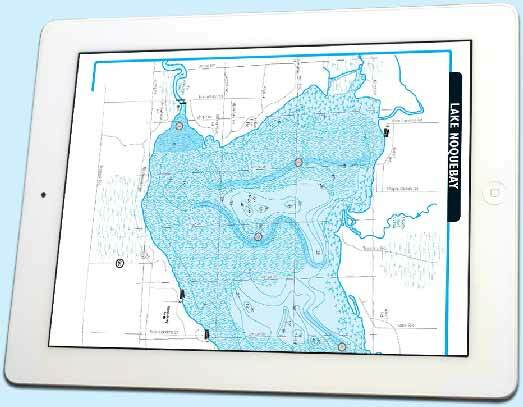 Need a map you can quickly print before heading out on the water? Need a map you can use on your phone or tablet? We offer downloadable versions of the lake maps and fishing information found in our Fishing Map Guides in PDF format. We have several map products covering 13 states and growing. See what's available in your area. Find a retailer near you and pick up your books in store. Find out how to purchase our All-Outdoors Atlases and Fishing Map Guides at a wholesale rate and join the thousands of retailers, libraries, and other organizations that trust Sportsman's Connection maps to provide their customers with the best maps and information!